It was a thunderous reception that greeted Vivienne McKee when she stepped out onto the stage on premiere night at Tivoli’s Glassalen. 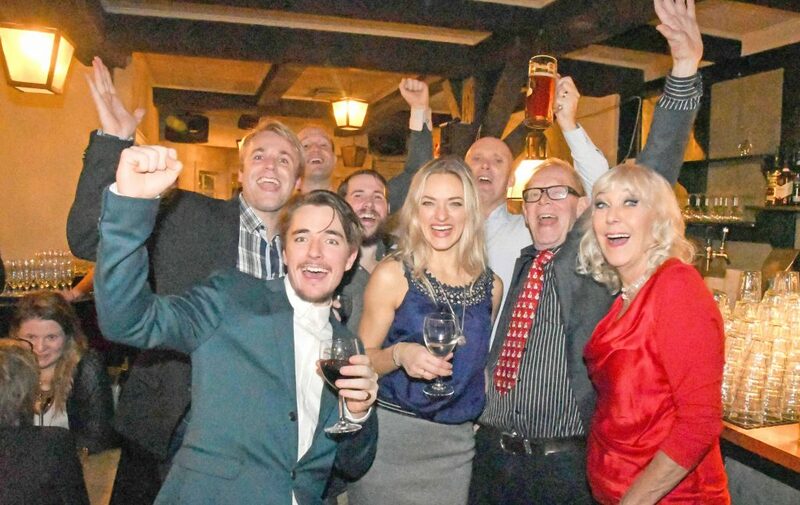 For the past 18 years, the iconic building has been the home of McKee & Co’s annual Crazy Christmas Cabaret, a show that has as little to do with Christmas as Coca Cola, but to many has become a mainstay of the festive season. Incredibly, this year’s ‘Shakin’ Up Sherwood’ is the 34th edition of the show – a truly impressive run and one which, judging by a jam-packed Glassalen, does not appear to be ending anytime soon. 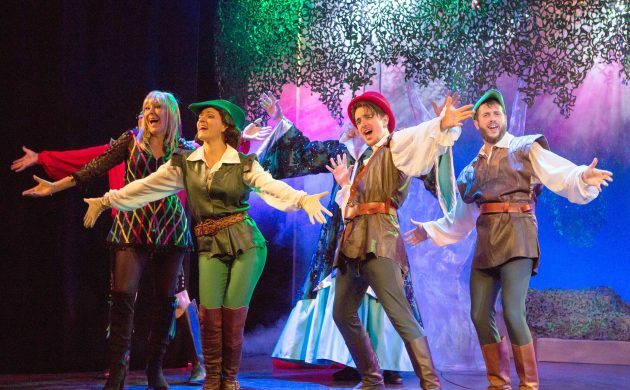 With each year’s show revolving around a central theme, ‘Shakin’ Up Sherwood’ takes on the legend of Robin Hood, the 13th century fictional British outlaw who stole from the rich and gave to the poor. Being the Crazy Christmas Cabaret however, expect a loose and silly interpretation of the story, sprinkled with a healthy dose of risqué humour, dazzling costumes, well-choreographed musical sequences and, crucially, plenty of improvisation! Newcomer Jefferson Bond plays the leading man in tights, and his portrayal is more akin to the Disney version of the character, rather than Errol Flynn. He has a love of poetry and we learn that his reputation as a killer may be slightly exaggerated. He is joined by his trusty companion Little John, played by another newcomer, Christopher Smart, who with his Scottish accent steals the limelight on many occasions. Pay particular attention to his juggling and banjo-playing skills which are a delight! With the action taking place predominantly in a forest, this year sees the return of the character Legoklods from 2006’s ‘Bored of the Rings’. He is played by audience favourite Bennet Thorpe, whose physicality on stage makes for a very funny interpretation of the famous movie elf. As is customary, McKee includes in her script satirical nods and references to events that have taken place within the last year. Mentions of Brexit, Morten Messerschmidt and Iceland’s heroics at the Euros are seamlessly woven into the story. The biggest news of the year, unless you have been living under a rock, has undoubtedly been Donald Trump’s ascendency to the highest office in the US. It comes as little surprise then, that the villain of the show, the Sheriff of Nottingham, is based on the president elect. Only here his name isn’t Trump, but Rump: Ronald Rump to be exact! His evil plans include building a great big wall around Nottingham and making the foreigners pay for it (sound familiar?). Rump is played by David Bateson – a Crazy Christmas stalwart – who gives his best impression of the infamous New Yorker. No show is complete without a strong female cast, and as is to be expected, McKee and Katrine Falkenberg both deliver solid performances. McKee transitions perfectly between her characters, from ditsy blonde Alania D’Ell (who hails from Slovenianka) to everybody’s favourite Danish detective, Dr Van Helsingør from Elsinore! Falkenberg is known for her powerful vocals, and in portraying Lady Marion she is given free licence to showcase her skills. Finally, a special mention must go to Andrew Jeffers who barely needs an introduction. He has donned elaborate costumes and taken on impossible-to-remember, long names a staggering 19 times in his role as ‘the Dame’. He is the glue that makes everything stick together, and he has a real affinity with the audience. The strength of the show has always been its characters, but it is important to remember that a great amount of work has gone into these productions. A special mention must therefore go to Kirsten Brink, who year after year has designed the sets and extravagant costumes that feature in the Crazy Christmas Cabaret. Throughout the night, the audience was ever-present, laughing and interacting every step of the way. It is remarkable how the show does not simply cater to one specific demographic. Here pensioners rub shoulders with giggling teens, tweens, singles, couples, Danes and foreigners – to name but a few. 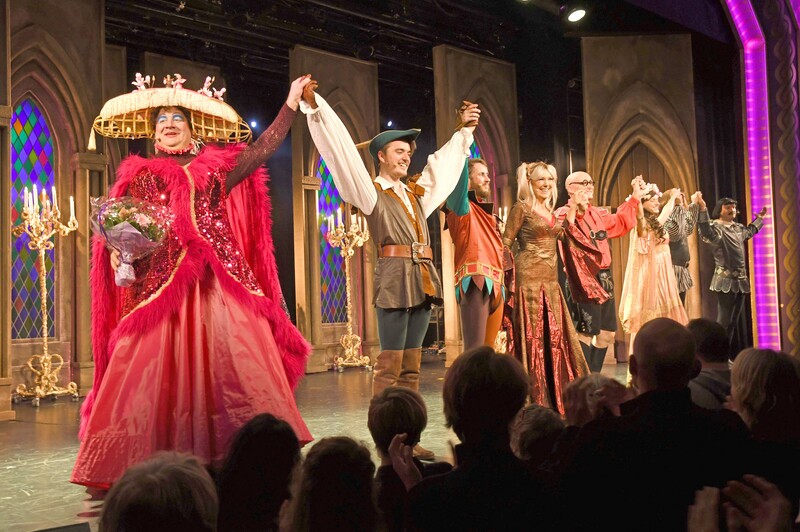 As they left Glassalen three hours after they entered, it was clear that Vivienne and her merry gang had done it once again – the Crazy Christmas Cabaret is the gift that keeps on giving! November Performance: The Crazy Gang are back! December Performance: Two nuts to crack!